We sometimes realized that, despite the satisfaction of choosing our passenger seat, we always forget small details. 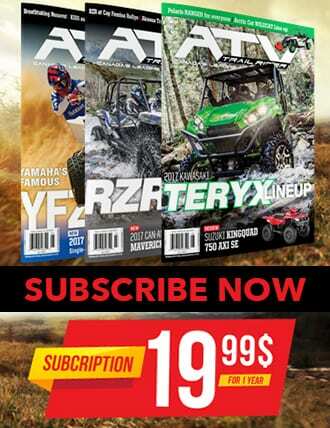 Whatever the reason: the excitement of a new ATV purchase, budget consideration or otherwise, we sometimes subtract from the available equipment options what we thought unnecessary at the time of purchase. 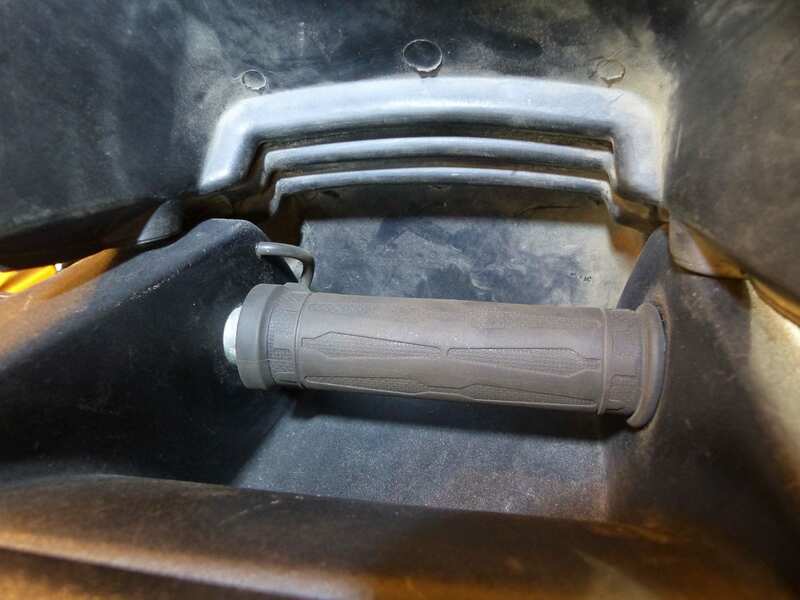 Now that the cold weather has become a reality, ATV passengers quickly realize that they miss something essential to extend their rides without freezing their hands. 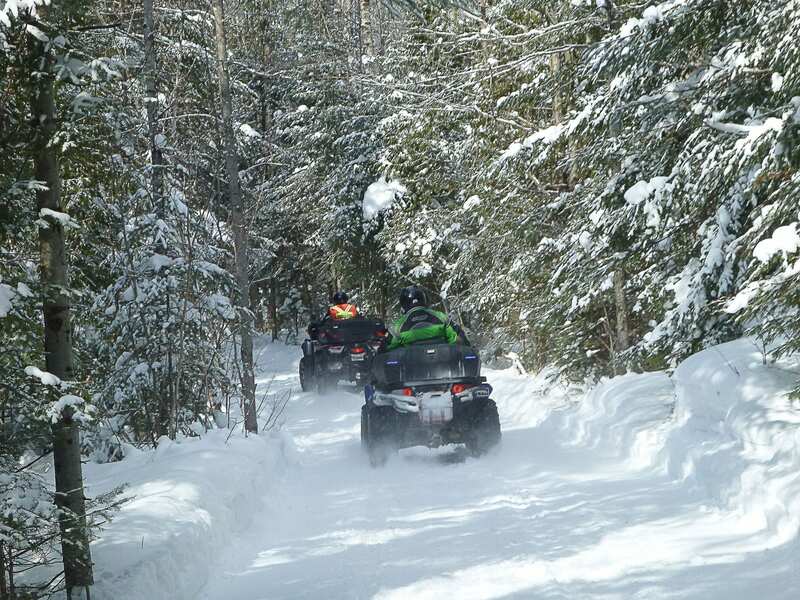 A passenger who once suffers frostbite on his hands is almost sure to avoid the fun of ATV riding in winter. An ATV trip can rapidly turn from a beautiful sunny day to a very unpleasant ride. Now, good luck in trying to convince this person to go back for a ride! 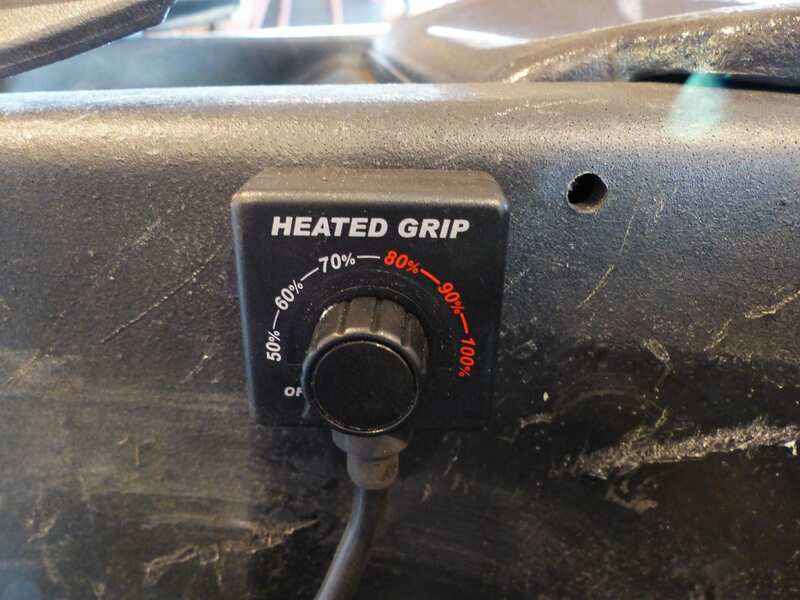 You can purchase a passenger seat equipped with original heated hand grips. If you already have purchased your passenger seat and know that it was available with the heated grips option, it is sometimes possible to get the heated handles separately and install them afterwards. 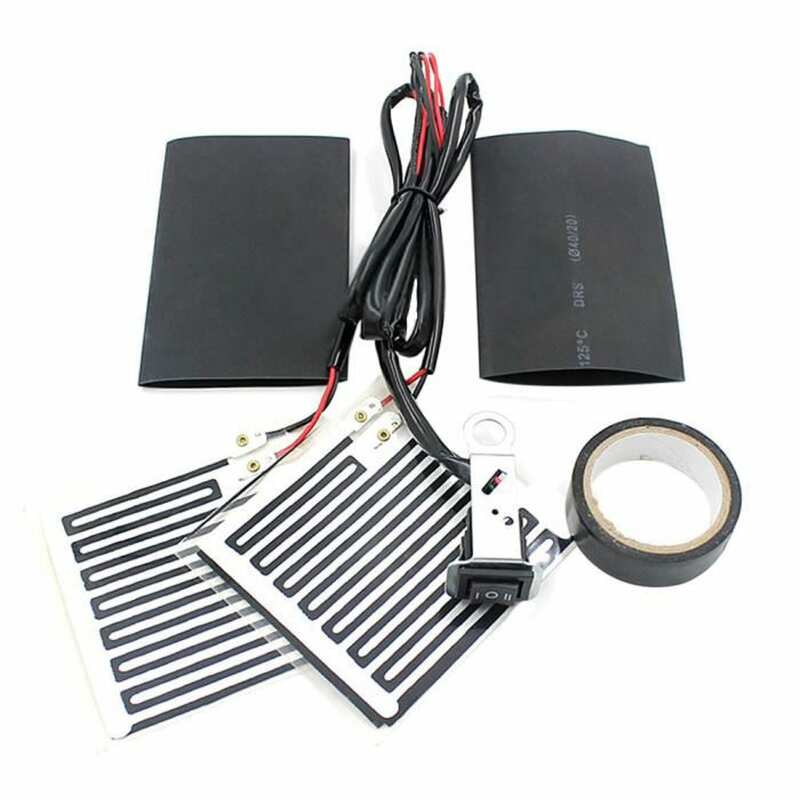 As for the other cases, with a bit of imagination you can install some heated grips that will give a very satisfactory result. There are two types of installations available for this situation: self-adhesive element and integral heated handle. 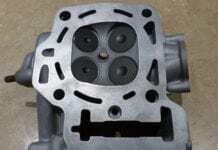 The performance is generally very satisfactory in both cases. The first type, with the self-adhesive element, offers the advantage of keeping the original handle in place and is usually more economical to purchase. In return, the installation requires much more attention to detail. Unfortunately they are also more at risk of breakage if the handle turns loose on the handlebars. Finally, this type of grips is not recommended if your seat is equipped with a foam handle. The foam has an insulating effect which will greatly limit the transfer of heat to the hands. The second type of grips, the integral type, has a heating element built into the handle. It is stronger and slightly more expensive then the self-adhesive type. However, you will have to give up the original seat handles and put them aside. For this particular installation, my choice stopped on an integral handle type, available from Importation Thibault, manufactured by Koso NorthAmerica model 006-10711F and purchased at a retail price of $ 124.99. The set contains all that is necessary for the installation and seems to me of very good quality. The temperature control on these handles comes with an LED display and features two installation options: handlebar mount or double-sided adhesive pad. A very interesting feature of this set of heated grips is that they feature self-diagnosis failure and protection mode. In the event of a fault, the temperature control LEDs will flash a code. There are different blinking sequences depending on the detected fault. Koso NorthAmerica has even planned an auto-shutdown in case the available voltage drops below 12 volts to prioritize the battery’s voltage and current required for the ATV operation. When the voltage returns equal to or greater than 13 volts, the handles will restart. A power drill, a set of drill bits up to 3/8 inch, a 7/8 inch hole saw, a rubber mallet, and your basic tools such as an Exacto knife, hex sockets and ratchet set, pliers and screwdrivers. 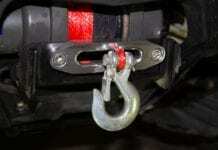 To begin, check what type of installation and materials are made your passenger seat handles. It is best if they are on a metal tube. 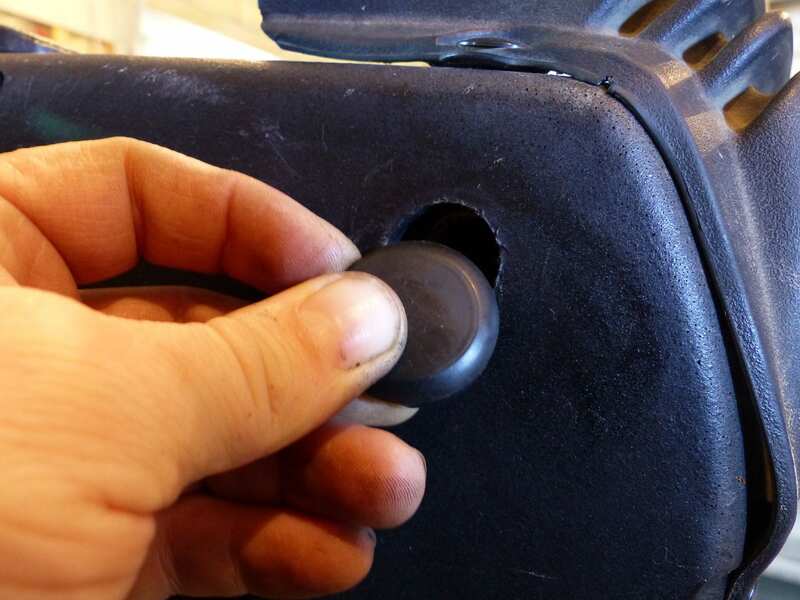 In most cases, an access cap will tell you in which direction they were inserted into the seat assembly. Remove this cap and slide the metal tube through the hole. Generally, the handle is well bonded to the tube and acts as a restraint to it. It may be possible to have to cut the handle in order to extract the tube. Once you have the handle metal tube in hand, measure its diameter. There are different diameters of heated handle available. Usually, the most popular diameters are 7/8 inch or 1 inch. Now you can purchase them with the right diameter. Now you are ready to reassemble. In our case of integral handles, we felt quite a good resistance to the insertion of the tube inside the handle. 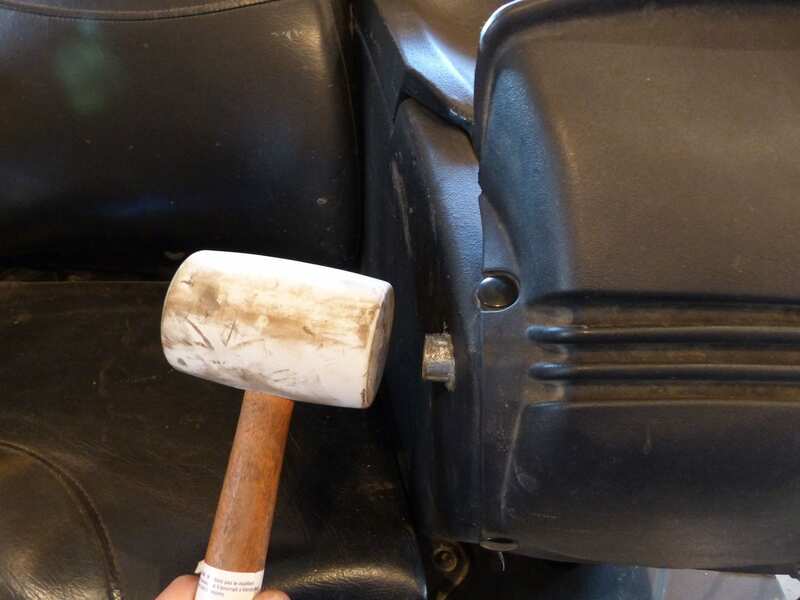 This is where the use of a rubber mallet is appropriate and effective. Once in place, place the power wire so that it does not interfere with the user. Pass the wire through the hole you have previously drilled. 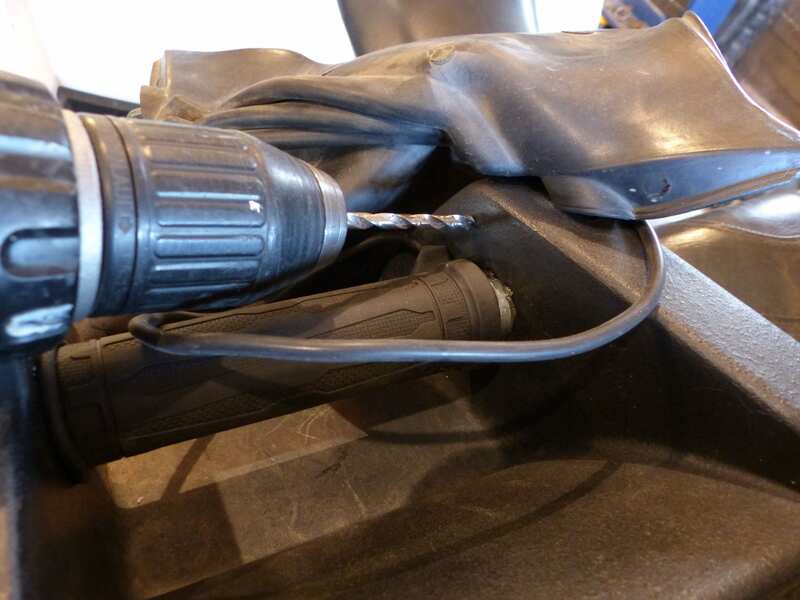 For the sake of a better aesthetic aspect, I first detached the terminals from the heated handle’s connector to allow me to drill a smaller hole in the trunk. Once inside the trunk, I reinserted the terminals into their respective connectors. The installation of the temperature control requires finding a place the least troublesome while remaining easily accessible to his user. I chose the double-sided adhesive pad attachment option. For routing the wire and its connectors, I drilled a hole in the trunk with a 7/8 inch hole saw. 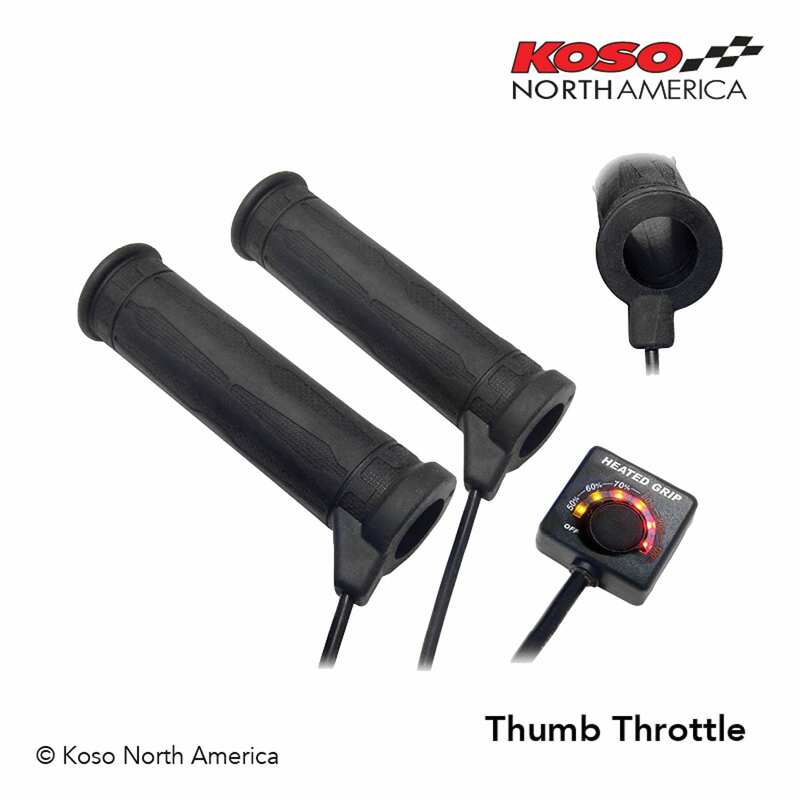 The Koso NorthAmerica set provides handlebar end caps. I drilled one of these plugs at the diameter of the temperature control wire and made an incision from the hole to the edge to create a wire passage. 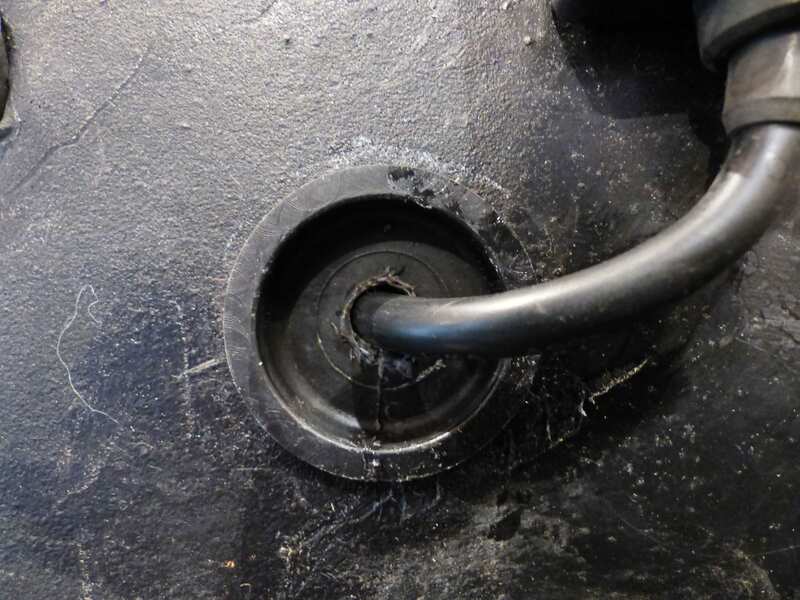 Then all I had to do was to push and secure the grommet plug into the 7/8 inch hole. 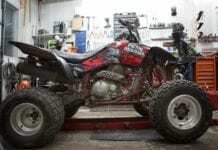 Plug the connectors into the trunk and route your ground power lead to a good ATV frame ground. Your 12-volt source must not be directly connected to the battery. Use a power supply that is controlled by your ignition key. This will avoid draining the battery if you ever forget to turn off the heated handles. If you want to maximize the efficiency of your heated grips, wear gloves or mittens with a thin palm of hand surface. Mittens that are too well insulated on the inner side of the hand will block the heat and prevent it from reaching your hands. The ability to add heated hand grips on your own booster seat is definitely an economic decision compared to buying a new booster seat with integrated heated handles. 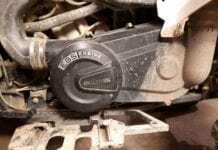 The final result may not be as visually refined, but depending on the ability of the installer, it can be very close to OEM. As for the performance, the heat is just as efficient.